The tradition of Notaries goes back over 2000 years - to the dawn of recorded history. Notaries laid down the Codex Hammurabi, the oldest evidence of recorded law. Notaries were also employed by the Catholic Church to guide the light of civilization through the Dark Ages. The Notary's reputation for trustworthiness meant that documents retained a stable reliability throughout centuries of upheaval. BC Notaries are governed by the Notaries Act of BC and the discipline of their professional society. Today, the position of Notary as a member of one of the branches of the legal profession is sanctioned and safeguarded by law. BC Notaries are unique in North America, providing non-contentious legal services to the public. W. Masri Notary Corporation has been open since 2001 in the heart of Collingwood providing Notarial Services to residents of the lower mainland. The Firm has two Notaries and three full time staff. The Notaries at W. Masri Notary Corporation specialize in Real Estate Transactions, Mortgages, and Estate Planning. 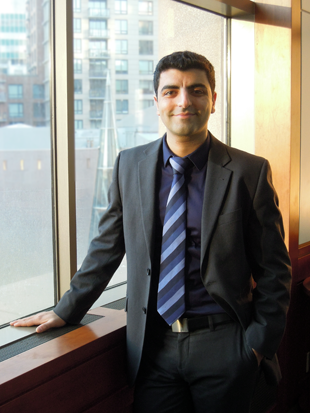 Wafaa Masri is a Notary Public practicing in Vancouver and founded W. Masri Notary Corporation in September of 2001. Since 2001 Wafaa has been serving the Collingwood neighbourhood and the greater Vancouver area. Hassan El Masri got his B.Sc. from the University of British Columbia in 2007 and his Masters of Arts in Applied Legal Studies (M.A.A.L.S) form Simon Fraser University in 2010. He recently joined W. Masri Notary Corporation as a Notary but has been involved with the Corporation in one way or another since its inception in 2001. The Staff at W. Masri Notary Corporation is highly trained and always willing to assist clients and act as a resource for non contentious legal support. If they don't already have the answer, they will surely know where to find it.